The Reverend Canon Susan Bell, a pioneering priest and former school chaplain, has been elected to serve as the next bishop of the Anglican Diocese of Niagara. Born and raised in Hamilton, she will be the first woman to serve as diocesan bishop since the diocese was founded in 1875. As the results were announced, the bishop-designate was presented to those gathered at Christ’s Church Cathedral in Hamilton as they broke out into a jubilant singing of the hymn “Praise God from whom all blessings flow.” In her remarks to the synod, Bell focused on words of gratitude, beginning by thanking all candidates who let their name stand for election. Bell, 51, was ordained in 1997 by the Anglican Diocese of Toronto. She is presently the canon missioner for the Diocese of Toronto, an honorary assistant at St. James Cathedral, Toronto, and an associate priest at the parish of St. Martin-in-the-Fields, Toronto. She is also a Ph.D. candidate in Church History at St. Michael’s College within the Toronto School of Theology. It took five ballots to ultimately discern who of the seven candidates would be elected to serve as the 12th Bishop of Niagara. After the first ballot, all candidates remained in consideration. After the second ballot, Archdeacon David Anderson and Canons Stuart Pike and Martha Tatarnic decided to remove their names from the ballot. Canons David Burrows and Robert Hurkmans withdrew after the third ballot. 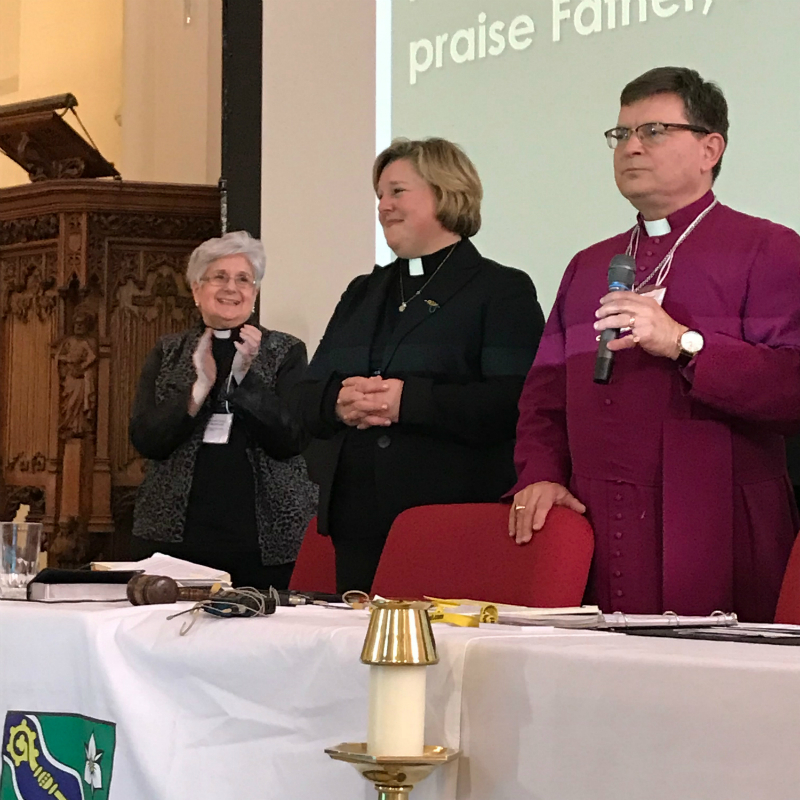 On the fourth ballot, Canon Susan Bell and Canon Robert Fead were nearly tied on the ballot, with one having sufficient votes to be elected by the order of clergy and the other the order of laity. Only one additional ballot was needed to decide the election. 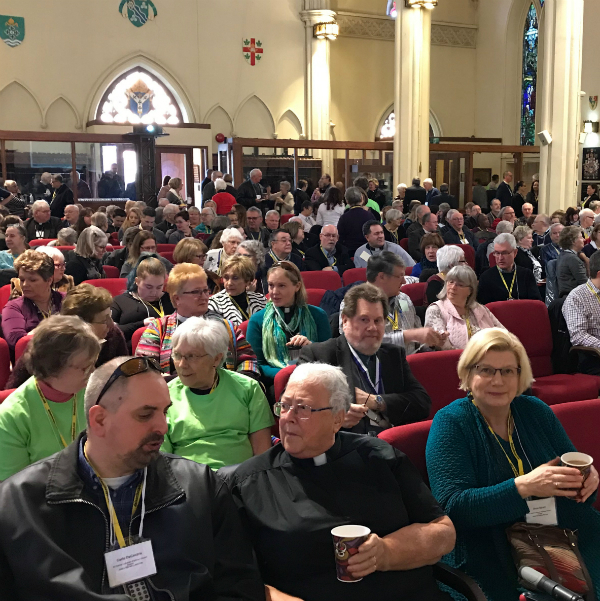 Nearly 270 people, representing 94% of eligible voters, took part in the synod which was chaired by Archbishop Colin Johnson in his role as provincial metropolitan. To be deemed elected, a candidate needed a majority votes of both clergy and lay delegates. The election was unanimously confirmed by the provincial House of Bishops. A service of consecration is tentatively planned for Saturday, May 5, 2018 at Christ’s Church Cathedral in Hamilton. After a brief transition period, Bell is expected to assume responsibilities as the diocesan bishop of Niagara on June 1, 2018. The newly elected bishop will build on the prayerful, prophetic and progressive ministry of outgoing Bishop Michael Bird who over the past decade has guided the clergy and people of the diocese to create and live into a new vision for ministry.